2018 looks set to be a year when recruitment is very much in the spotlight. Skill shortages, work quality, employment models and workplace culture are all topics that have moved from being concerns for the talent and HR community, to creating far reaching discussions in the wider business community. The spotlight is on the way we hire and integrate new employees and support them in their growth and development. 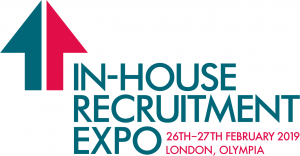 For 4 years the In-House Recruitment Expo has been in London and has established itself as the event where recruitment and talent acquisition practitioners, hiring managers, analysts, suppliers and thought leaders have come together and, through a mix of seminars, masterclasses and networking, been able to discuss and debate the issues of the day. Enlightened by the sharing of real case studies and experiences, the event has always left recruiters better placed to face the challenges ahead. But we realise that not everyone can get to London, and recruiters in the Midlands and the North are just as keen to learn and share, so we are pleased to announce that we are extending the In-House Expo family of events and bringing our unique learning experience to the North! On October 9th we will be hosting the first ever In-House Recruitment Expo Summit at The International Centre in Telford! It’s a great location for bringing together recruiters from all over the UK – just 40 minutes on the train from Birmingham and walking distance from Telford Central Station. It is also less than 2 hours’ drive from Manchester and Bristol, and only just over 2hours from Leeds…and London! The event is free to enter and there is parking space for 1300 cars. The surrounding area boasts the UNESCO world heritage site of Ironbridge Gorge. And it is also the birthplace of the Industrial Revolution – which makes it an ideal location to talk about recruitment industry’s journey from those more traditional business structures into the Technological Age. For those who will be experiencing one of our events for the first time, you will hear from experts about how the sector is evolving. Our seminar theatres will feature case studies and real examples of what recruiters are doing differently, whilst in our masterclass arena you will hear research and strategic insights on how to identify and recruit the talent you need.  The expo area will offer you the opportunity to meet and talk about some of that latest technology and industry supplier solutions. The In-House Recruitment Expo Summit offers an opportunity for In-House teams from all over the UK to understand best practice, learn about new cutting-edge solutions, and network with their peers, leaving them in a much stronger position to find the talent their businesses need to meet their strategic and commercial objectives.